acai (pronounced, ah-sigh-ee) berry wheat ale is a light-bodied wheat ale brewed with organic acai berries from brazil, and a flavour mix of pomegranate and berries. this certified organic porter uses a complex blend of five malts that compliment and highlight one another in a harmonious mixture. while decidedly in the robust porter category, this proter has none of the characteristics often associated with a dark ale. 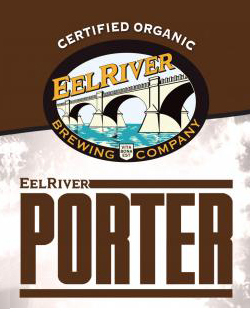 as eel river brewing company's first certified organic beer, the amber ale is a medium-bodied, wih a hoppy bouquet, with a distinctive rich taste. a caramel-like sweetness is balanced with a liberal dose of certified organic hops. brewed with the finest organic malts and hops, this ipa features a bright-minted copper colour witha crisp, yet smooth hop bitterness taste. a malty caramel sweetness is balanced with an aggressively clean burst of freash hop flavour in the middle palate without lingering bitter astringency. traditionally, old ales are an english style of dark, rich and sweet ale, typically with flavours of soft currant fruit and blackstrap molasses. 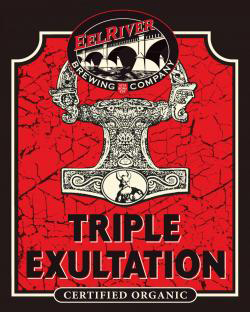 while old ales typically have ibus (bitterness) of 30-65, this beer has its own spin on the style by adding extra hops to ramp up the ibus to 80!